False Idols confidently returns to a simpler, yet contemporary version of Tricky’s working formula. False Idols is a massive triumph musically. There is no filler, in many places it sounds timeless, and by that I mean it would fit just as well in the “trip-hop glory years” (if there ever was such a thing) as it does in today’s glitched out, warped excuse for an industry collective. In that sense, False Idols has the potential to be a more accessible and instantly enjoyable album than say, Maxinquaye, but because it's not as challenging to the experienced trip-hop fan, False Idols is also vulnerable of losing some its captivating allure. These tension-filled songs are all artfully restrained, while also being vibrantly expressive, crafted to be played in clubs that didn’t exist when Nearly God dropped, while also reminding these insular modern club kids where some of their current hit-makers got their sound from. Conceptually, Tricky seems to be doing some soul-searching -- but the running time is long, and at least three quarters of the album is top-shelf. Tricky might not have succeeded in bringing his old sound 100% back to life, but as an effort to hit the reset button and rediscover himself, this record's a better-than-expected surprise. The atmosphere is bleak, tainted with tales of drugs, failed relationships, and other themes that don’t immediately avail themselves on a quick listen, but False Idols settles in infectiously to its creator’s murky headspace. 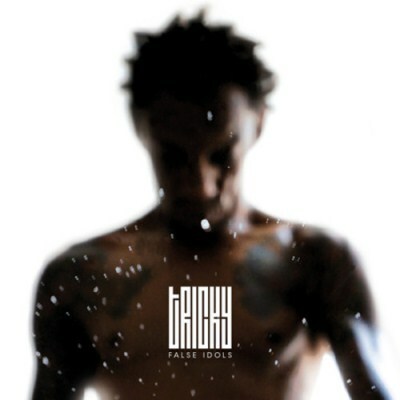 Tricky of old resigning himself to revisiting his most celebrated manoeuvres in this way, but 'False Idols' is at least partly successful. Credit goes to Tricky for variety, but it would be a more rewarding experience if we were able to listen to the songs evolve and develop. Great that the ideas exist, but they clearly haven't inspired. 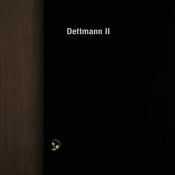 Everybody sesnses the vanity but undoubtely this is his best work in years. Without a recent album (soundtracks and re-issues excluded) from Air, Zero 7 and Massive Attack, Tricky steps in to fill the trip-hop void with a surprisingly great album. I haven't been a fan of his last decade of work, but this album is a welcome site for lovers of trip hop and a great down tempo soundtrack to enjoy an evening cocktail to. Purchasing False Idols from Amazon helps support Album of the Year. Or consider a donation?